7 Cryptos now available on JustForex! Cryptocurrency has been one of the most popular investments not only for traders but for brokers as well. We have seen some of the most popular brokers delve into the crypto hype, almost all of them were able to turn a profit and kept the asset as one of their major tradeable. Because of this news circulating the internet, more and more brokers have started to join the ranks. The latest one being JustForex which is an international broker and brand of IPCTrade Inc. They have announced that they will start featuring seven crypto pairs to trade online with their platform. The firm actually started introducing cryptocurrencies back in September. it looked to be just a small testing experiment to see how well the platform would receive the addition. We believe it is safe to say that the platform loved it because the broker decides to immediately add 7 more pairs. 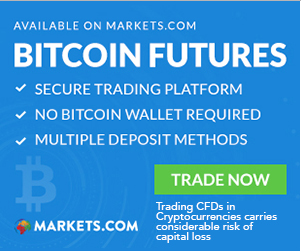 Traders now have access not only to forex pairs (which are becoming irrelevant day by day) but also to commodities and 7 pairs of cryptocurrencies, allowing their customer base to catch up to the modern standards of trading. These are the Cryptocurrency pairs that will be available for trading on JustForex: BTC/USD, BTC/USD, LTC/USD, XRP/USD, ETH/USD, EOS/USD and DSH/USD. Even though a single account can fit every asset on the platform, it has been reported that some of the traders are still preferring to be able to divide their accounts to forex and crypto account separately, to make it more manageable, whether or not JustForex will do it we do not know. JustForex has also justified its decision on featuring cryptocurrencies. They have stated that cryptocurrencies have become the most popular trading assets of the 21st century and not featuring them on their platform, would rob them of their title of a professional broker. They honestly believe that cryptos have the biggest potential to become the #1 trader asset in the world, therefore they didn’t want to miss out on all the hype and demand that their customers were having. The cryptocurrency fever has already struck pretty much every corner of the world. It already doesn’t matter how harsh the regulations are in a country regarding cryptocurrencies, they will most definitely feature cryptos no matter what. The boom has been so massive that shops are already appearing who are accepting cryptocurrencies. Forex may have been the major player in the market but, a new type of currency industry giant has become its prime competitor and only time will tell which of them will become #1.